Image courtesy of Good Neighbor Brews. Looking to supply local residents with "the beer next door," Good Neighbor Brews has let it be known that it plans to open the first-ever brewery in Wylie. Jill Bresnan and Darin Petersen make up the husband-and-wife team behind Good Neighbor, a name that brings to mind the idea of people coming together over a beer. And, in the case of the founding couple, it extends to how two people came together over a love of not only drinking, but also making good beer. "Ours is a second marriage/blended family with three kids," said Bresnan. "We were both hombrewers as single parents, and it was our mutual interest in beer that initially attracted us to each other." In fact, both have been homebrewing for upwards of 20 years, so it's not surprising to learn that the community aspect of that pursuit will be a big part of what Good Neighbor is all about. "The name Good Neighbor started out as a joke," explained Bresnan. "Darin is that guy on the block that you ask to help move a couch, but the name stuck when we realized that we wanted our vibe to capture the spirit of what got us into homebrewing." What Bresnan is referring to is a scene that's familiar to many homebrewers. It's watching over a pot of boiling wort out in the garage, with that "baking bread smell" filling the surrounding air. Next thing you know, friends and neighbors are walking over to see what's brewing, which then leads to everyone hanging out and enjoying a few beers. "Above all else, we want our beer to be welcoming," adds Bresnan. "We imagine our beer being consumed while sitting in lawn chairs on the driveway, or any place where everyone's invited." She says it's the last part of that statement, especially, that they want people to associate with Good Neighbor's beer, because opening their doors to others is a reflection of who they are as people. As for where the company will do business, Good Neighbor has signed a lease on a 6400 square foot building situated on the western edge of Wylie. Located at 211 Regency Drive, the address is part of an industrial park that sits just off FM 544. Though currently occupied, the existing tenant is expected to vacate in time for the brewery to get things ready for a spring 2017 opening. Once Good Neighbor takes possession, plans call for installation of a 10-barrel brewhouse and associated fermenters, with a taproom filling out the remainder of the indoor space, and a patio area to be set up outside. 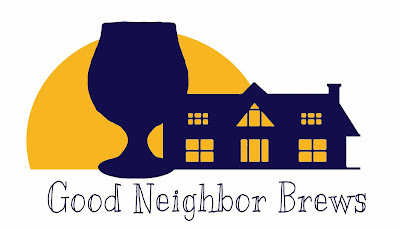 In terms of brewery offerings and where you'll be able to get them, Good Neighbor's lineup will include standards like a blonde ale, a double IPA and a stout, though a recipe for an agave wheat is also in the works, as is another featuring a rye infusion. Products will be self-distributed to start, with coverage areas to be determined based on what demand dictates. The brewery also intends to operate using the taproom model, likely being open later in the week and on Saturdays at the outset, with daily hours following sometime down the road.